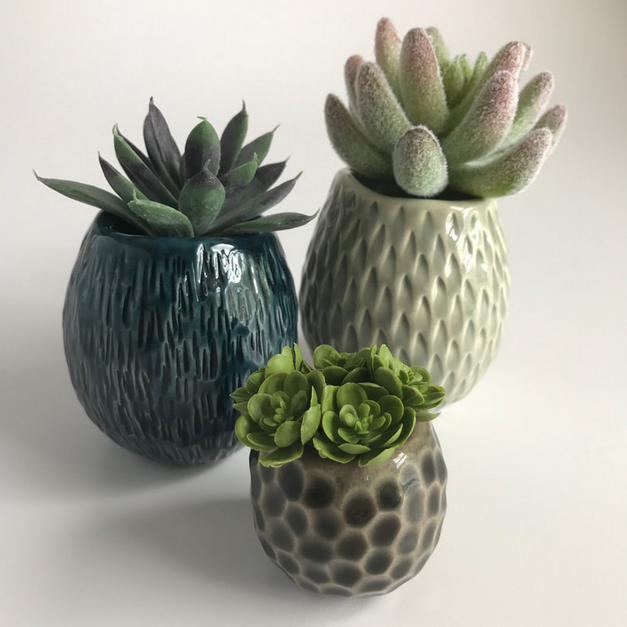 A long time resident of Maine, Jude completed her BFA at the Maine College of Art and MFA in Visual Art from Vermont College of Fine Arts. She has received numerous grants and awards for her work including a Jerome Foundation Fellowship and an Individual Grant Award from the Council of Creative Arts, Cornell University, Ithaca, NY. Sarah Haskell is an award-winning artist/educator who has been weaving and teaching for over forty years. Since her graduation from Rhode Island School of Design in 1976, she has traveled as far away as Japan to learn and teach about her love of weaving. Sarah balances her work as a community artist with her career as a studio artist. Sarah regularly exhibits her work in local and regional galleries, universities and art shows. Raegan Russell is an art educator and artist, who works in oil, mixed media and printmaking. Her current body of work is figurative, painterly and evocative of the light and space found in the neighborhoods and changing landscape of rural Maine, and in her travels. Her paintings, while sensitive and observational in nature, look for the quirky, unusual or profound lying just beneath the surface of the mundane. She is a graduate of Boston University’s School for the Arts where she earned both her BFA and MFA. I am interested in creating disruption in the repetition and uniformity of pattern, particularly with the grid. Color is used as material, where the weight and gravity of its physical substance dictates the form it encounters. Ultimately, my work is a reflection of my curiosities in formal experimentation and observations of living in a material landscape. As an art teacher living on the coast of Maine, I am constantly inspired by the natural world - not only by what is visible to the naked eye, but also by what lies beneath the surface. Cellular structures are as beautiful as seashells, patterns seen through a microscope are as inspiring as the patterns made by waves at the shore. My paintings are a self-referential visual language that speak to the extremities of the human experience and the intangibility of thoughts and emotions. They take the form of painted vessels—a holding pen for ephemeral wanderings, incapable of containing themselves. With a fierce attention to surface, I work to uncover the connection between ambiguity of thought and lived experience. The residency totally met my expectations. I was completely inspired by the varying atmospheres, sometimes clear, sometimes foggy. The clarity of the water and my underwater viewings were stimulating, mesmerizing, and what I had hoped for. On Monhegan, I began by developing a group of paintings derived from my daily and nightly experiences of exploring, hiking, and observing the ocean while sketching and drawing. At night I often found my way down to Lobster Cove to study the unsullied night sky illuminated by stars. Monhegan is a special place. I loved being where many of my favorite painters had been before me, to experience the island at a different time but yet imbued with so much history and independence and to see the mechanical workings of Monhegan in the present. For example how re-cycling is handled and the power plant, how the library is run, all these things made an impact on me. I often heard painters speak of “the light” and I ended up making work about the light literally, before there was power, about the oil lamps, and then also about the refracted light of cameras and the magnified light of binoculars. 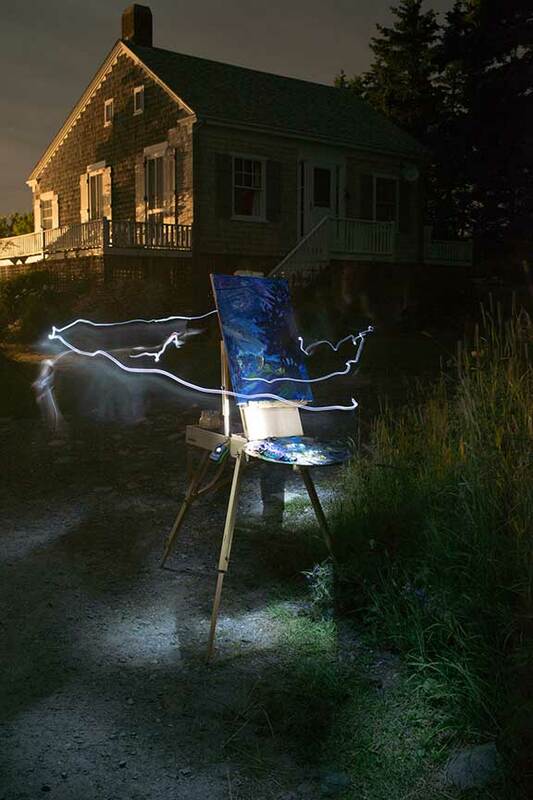 I was drawn to make work, objects about “the light” — site specific to Monhegan as a place. I enjoy creating forms that have a resonance of nature, yet harbor some uncertainty about exactly where in nature they occur. I am passionate about clay as a material for the endless possibilities it yields. The other materials I use in conjunction are either found outside, typically from animals or trees, or something that has been processed by man, be it wood, plastic, or metal. I find myself being most inspired by simply being outside and mentally bringing back what I see to the studio. I am curious about the natural systems of repetition that occur in our lives and in our natural environment, and continue to actively investigate them. The residency provided me with an opportunity to focus solely on my work- no distractions at all. Heading out painting every day allowed me to get into a rhythm that would be difficult to achieve with all the other distractions of daily life- living a hermetic existence for a while helped me live the work. The MARC fellowship is a gift which will continue to inspire me indefinitely, the impact of which I have not yet come to understand completely. Like all good transformational experiences, they reveal themselves slowly over time. The residency afforded me the time and space to rest, reflect and regroup in a bucolic environment amongst a supportive and creative community. It became very clear to me how special Monhegan is, as each person I encountered shared a deep love and connection to the island. A connection I now share with them. I harness the power of perception as both tool and subject. By selectively painting on digitally printed textiles, I am able to generate an immediate and immersive optical experience. Linear geometric form is the foundation to my image making, providing a structured surface for the eye to freely roam without an opportunity to settle. I have always painted a lot, 5 or 6 days a week, but my hours have been inconsistent. During my residency I followed a fairly strict schedule which I have now carried over into my daily practice, getting started early and going into the early afternoon. As for my painting, color has become increasingly important to me. I’m also simplifying more to make paintings that are primitive and powerful, a direction I intend to pursue. Anselmi’s work combines the use of collage and paint to explore the relationship between imagery and abstraction. He uses paper and other materials “to elicit ‘brushstrokes’ on the canvas.” In 2013, his work was included in the I-95 Triennial at the University of Maine Museum of Art in Bangor, and the Betts Gallery in Belfast. The first teacher-artist in the Monhegan Artists’ Residency Program, Campbell is a K-6 Art Specialist in the Auburn School Department. Her work was featured in a solo exhibition at The Barn Gallery in Phippsburg, Me., in 2013 and in numerous group exhibitions over the past five years, including Saco Bay Artists in Biddeford and Northlight Gallery in Millinocket. For more information on her Monhegan experience, see her blog. A recent graduate of the Maine College of Art, Fitzpatrick is printmaker who works in a variety of media. She has participated in various public art projects over the past 5 years and shown her work at the Landing Gallery in Rockland. A 1981 graduate of Pratt Institute, Cole has shown his work at a number of venues throughout the state, among them, the University of Maine Museum of Art, Space Gallery, and the Belfast Free Library. His imagery often makes reference to social, religious, and political issues. “In the spring of 2012 I spent 5 weeks as the Artist in Residence on Monhegan Island, Maine. Prior to this I had been involved with a group of artists, organizing various political art actions, from which, I had learned how to create silk-screen prints using water based acrylic inks squeezed through very simple newsprint stencils. So for my residency I decided to try and teach myself more about this medium and to create some prints in line with my own painting and drawing. I created 27 different editions of around 12 or so prints, per edition, washing out/destroying each stencil after printing. I also created stencils using drawing fluid and screen filler, which was a bit more of a process than newsprint stencils, but afforded a nice fluid contrast to cut paper. Trenholm earned a BFA from the University of New Hampshire and an MFA from Boston University where she studied with John Walker. She responds to the natural world in an abstract and painterly fashion. She plans to paint on location while on Monhegan and also hopes to make watercolors and reduction block prints. Emily Trenholm was a featured artist in the 2015 University of Maine Museum of Art exhibition, Monhegan: A New Perspective that included work from her Monhegan Residency. Among recent MARC fellows, Alina Gallo has the done the most to share her Monhegan experiences over the Internet, maintaining a blog throughout her residency. Her website juxtaposes paintings and photographs made on the island in June of 2011, along with her written descriptions of the people she encountered, ranging from local residents, to members of the long-standing artist community and the active group of birders, who regularly populate the island during migration season. Shortly after returning to Portland where she lives, Gallo had a one-person show of her Monhegan paintings at The Heart Opening Studio. In addition to her Monhegan residency, Gallo received a MacDowell Fellowship in 2010. A resident of Bailey Island, Maine, Gail Hollenbeck had made several trips to Monhegan before she received a MARC fellowship. In her application, Hollenbeck noted: “My visits in the past to Monhegan, though short, have been exhilarating. 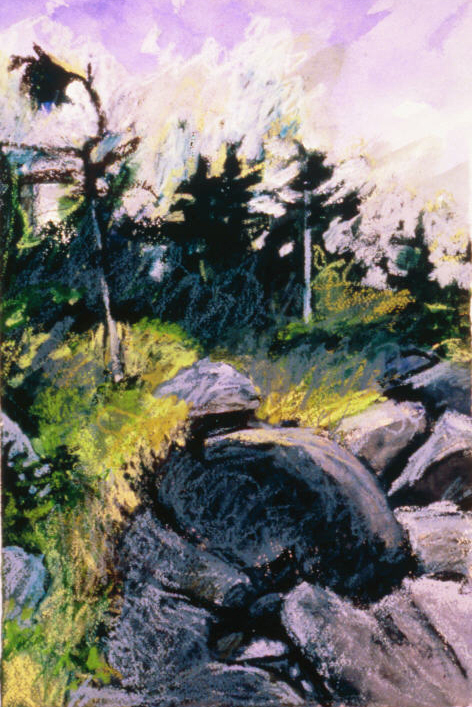 During a Monhegan residency, I would expect to do a series of evocative, spatial rock drawings and small oil paintings, and be receptive to new ideas that come when working quietly in proximity to nature.” Like several other MARC fellows, she has also had other residencies in this country and abroad—at Yaddo, the Ballinglen fellowship in Ireland, and the Maryland Institute’s program at Rochefort-en-Terre in Brittany, France. She received her B.A. in painting from American University, an M.F.A. from Pratt Institute, and studied at the Skowhegan Summer School of Painting and Sculpture. Keister’s geometric abstractions have been included in both Maine biennial exhibitions, at the Portland Museum of Art in 2003 and 2007 and at the Center for Maine Contemporary Art in 2008; and the Portland Museum acquired two works for their permanent collection in 2010. Aside from his painting practice, Keister is currently studying book binding and dowsing; and he is assembling an occult reading room on Peaks Island in Casco Bay where he lives. Morning in Friendship, oil on linen, 24"x30"
I am a traditional painter rooted in the aesthetic values of the Ashcan School and the impressionists of the Cape Cod School of Art. Mostly inspired by light quality, color harmony and abstract shapes, my paintings are created from direct observation. I really enjoy the challenge of painting nontraditional views/subjects and finding the beauty in them, along with the views that make Maine, Maine. What I hope to accomplish during my residency on Monhegan is most simply stated as growth. I believe the time and surroundings provided through this residency will allow me to really focus on what makes my paintings mine and what makes me, me. Being familiar with the rich art history of the island and the part some of my personal painting heroes have had in it, would make this residency very special to me. I find this a priceless opportunity to experience the scenes they painted and walk in their footsteps, while having the time to paint my own personal view of the island and hopefully leaving a few footprints of my own. Keeping track of this experience through a daily journal is another task I have set for myself if selected, and will make a full copy available to the Monhegan Residency Corporation to share as they wish. Sarah Sorg is a photographer currently living in Bangor, Maine. The images on this website have been shot with a digital camera, an 8×10, pinhole and 4×5 view camera. Prints are made with inkjet and silver gelatin processes. Sorg received a Arts Visibility Grant from the Maine Arts Commission. Recently, she exhibited in Darkness, Darkness: An Exhibit of Contemporary American Night Photography at the George Marshall Store Gallery in York, Maine, and at the Center for Maine Contemporary Art in Rockport, Maine. He lives in Gorham, Maine. Cynthia Davis, currently resides in Harpswell, Maine. 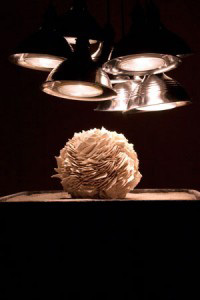 She holds a MFA from the University of Massachusetts, Dartmouth in Fibers, and a BFA in Printmaking from the Portland School of Art now know as the Maine College of Art. Her advanced studies in art include attendance at University of Southern Maine, University of Colorado, Boulder, School of the Museum of Fine Arts, Boston, and Studio Art Centers International, Florence, Italy. In the 16th century there was a group of painters called Carravagists who, inspired by Caravaggio’s technique, applied the painter’s deep shadow to a new level in their still-life paintings of luxury objects. Before long the obsession with darkness lead their paintings to appear to be nothing more then a void impregnated with pin-pricks of light. In these paintings “objects only exist to the extent that they can be perceived, but in order to be perceived they need light to dispel that darkness which is the original state of the world” (Norbert Schneider, Still Life, 1999). The “original state of darkness” can be considered in relation to one human conception of nature, which is marked by confusion and anxiety. Dark woods and undersea regions best exemplify this idea. In these places, light is a foreign object brought along by the observer so they can be aware of the complex animal/plant operations at work in the darkness. In the dark we are disconnected from nature by our dull senses, which make the system of nature just beyond our perception. [At Monhegan] I discovered a vibrant artist colony with many artists at work in studios and outdoor locations across the island. They were more than willing to discuss art in general, their own art, my art – all with candor and excitement. I was able to watch artists at work painting the island landscape in a multitude of styles, techniques and interpretations and soon realized these ideas were readily adaptable to digital imaging. It was very energizing. My interest in painting, something I had not pursued since my school days, was rekindled. I began to paint in earnest and now find that I approach a subject first by deciding whether to render it digitally or in paint. Much of what I learned as a photographer is readily applicable to painting particularly in regard to composition. This is where I began my study of painting, and I think my photographer’s eye is the hallmark of my painterly style. I have spent a lot of time working with tone in the darkroom. This is why I find painting so refreshing as it has allowed me the freedom to really play with color and to mix and layer colors to create light, shadow and shape. I spend a great deal of time now studying color theories and putting them into practice. Everyday is full of choices. Born in Bar Harbor, in 1953, Terry Havey Hilt is a native of Maine with many generations of ancestors on both sides immigrating and settling in Hancock County. She is a graduate of University of Maine at Orono and Boston University; and received her PhD from University of Maryland School of Social Work. She is a psychotherapist as well as artist and published poet. Rob earned his M.F.A. from the University of Pennsylvania under the noted Maine landscape painter Neil Welliver and attended the Skowhegan School of Painting and Sculpture. A former Artist in Residence at Acadia National Park, Rob was awarded a Maine Arts Commission Individual Artist Fellowship in painting and has been a Carina House Resident on Monhegan Island. 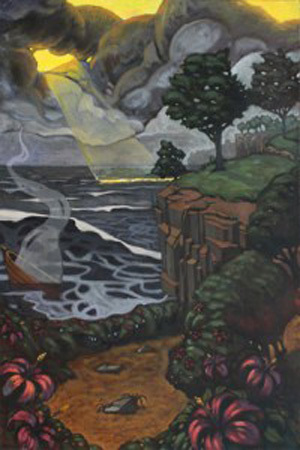 His work is included in Art of the Maine Islands by Arnold Skolnick and Carl Little. Pollien’s paintings are in numerous corporate, public and private collections. Rob is represented by the Dowling Walsh Gallery, Rockland, Maine. Susan Bennett is a University of Southern Maine graduate. 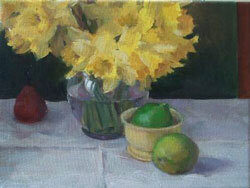 Her work has been included in juried shows in New York, Santa Fe, Boston, and Rockport, Maine. 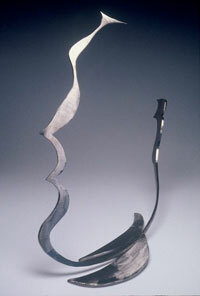 In 2009 she exhibited her work at USM in Portland and with the New England Sculptors in Boston. “Placed in frames, the landscape is viewed as an object, a substitute for the viewer’s perception of reality. Totemic and ritual symbols of non-human spirits, dreams, and myths have in time, been weeded out of our consciousness. We are fortunate to encounter remnants of these instinctive and intuitive experiences. Kelli LK Haines works primarily with 4×5 format photography, using a 1952 Crown Graflex with slow-speed black and white film. Straight photography can best describe her style. Preferring to do the majority of her work in-camera results in strong negatives, allowing for more creativity in the darkroom. While the main focus of her work is architectural landscape, she is also known for her intensive portraiture. Also a talented painter, Haines has developed a unique style of painted photographs. A lifelong student of photography, she also had as a mentor, noted photographer Todd Webb. She was awarded grants by the State of Maine to study at the Maine Photographic Workshops and has exhibited throughout New England and the Southeast. Haines was formerly a teacher of photography at CPAC of UMA in Lewiston, ME. In Maine, she is represented by the Lupine Gallery on Monhegan and the Galeyrie in Falmouth. I have come to realize that “path following” is a compelling and provocative process for me. The passage of time, the filtering of light and shadows, the meditations that percolate through my mind when I walk have all become parts of my personal documentation. I walk often, in all kinds of weather and in all kinds of places. I have built an extended series of works, including three 25′, scrolls with oil sticks on paper, tracking my perambulations. I want my work to convey the joys and insights that I internalize when I walk, my paths and experiences to be anybody’s roads. I paint in oil on canvas and I work in oil sticks on panel or on 140 lb watercolor paper. I work from photographs and from life. My current paintings are centered around common plants and their environments. They also describe a dialogue between the sky and the earth. As the plants send out flowers and shoots, growing higher, they become the go-between connecting the earth and sky, and the plants themselves intermingle with their surroundings. I have let these often small weeds become monumental in my paintings, running the whole vertical length of my canvases, uniting solid ground below with atmosphere above. 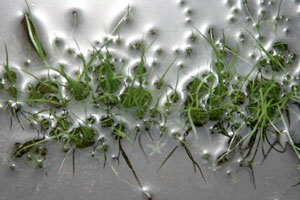 I have encountered these plants in fields, beaches or rocky shores here in Southern Maine. On an aesthetic level, I notice the color and shape of radiating petals on a flower with a specific number and formation, but observing the whole plant closely and identifying it through books opens up other meanings relating to its use as food, medicine, or textile/building material. I welcome the diversity of tenacious weeds that grow without conscious planting or landscaping. Their surprises contrast with gridded plots of daffodils or tulips, and the vast, uniform orchards or crop fields that fill abundant but homogenous produce bins in supermarkets across the country. In my studio, forms of clouds, stones, plants, rolls of hay, or bodies of both land and water are malleable and change to fit my compositions. However, the subjects and their environments that I create are always informed by my sense of the different places I have lived or spent time. A century plant I painted in New Mexico relates to a sow-thistle I see and paint in Maine. A tower of limestone blocks I painted in a quarry in Indiana relates to natural rock formations I saw and painted in New Mexico and to the shape of the rocky coast of Southern Maine. The name and identity of the forms change, but certain shapes and compositions repeat through many of my paintings. In the studio I work to generate the sense of scale I experienced standing with my easel planted in a large outdoor space with the ground sweeping up under my feet and clouds rushing overhead. I get back to experiences I have had walking out into certain outdoor spaces and being struck by a feeling of harmony in the forms surrounding me. I am a full-time artist living and working in Coastal Maine. Originally from the Boston area, I received a BFA in Painting with a minor in Art History from Boston University. After moving to Maine in 2000, I had the great honor of being awarded a Monhegan Carina House Residency in the summer of 2001. I primarily work in oil and am drawn to Maine’s landscape and quaint harbors. Current projects include poster illustrations and children’s book illustrations. My inspirations include Lynne Drexler, Dahlov Ipcar, Fairfield Porter, Edward Hopper, Henri Matisse, Richard Deibenkorn, Willem de Kooning and Wayne Thiebaud. 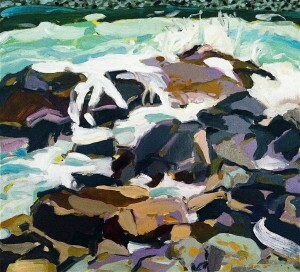 A direct response to my environment is central to both my landscape and figure painting. Long walks, extended close observation, and daily life experiences give rise to my subject matter. 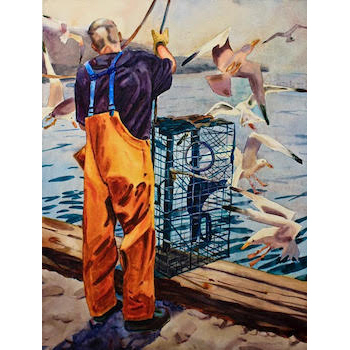 A strong attachment to the art of an earlier Monhegan artist, James Fitzgerald (1899-1971) first drew Michael Vermette to the island. A 1980 graduate of the Portland School of Art (now the Maine College of Art), Vermette was the first art teacher at the Indian Island School on the Penobscot Reservation and he has taught workshops through MECA at the Katahdin Lake Wilderness Camps in Millinocket. Maine artist David Little was born in New York and studied at the Skowhegan School and also with William Kienbusch. He has exhibited widely in Maine and New York and now resides and paints in Portland, Maine. 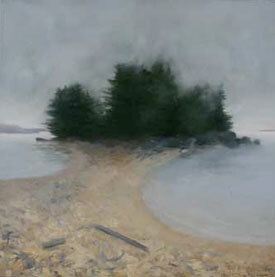 David’s work has appeared in a number of publications including Art of the Maine Coast and Paintings of New England. I believe that the act of making interesting photographs is one part mechanical, one part spatial, one part the elements of design, and one part how the photographer views the subject at that particular moment. I aspire to honesty in my work, add a bit of humor or irony, a dash of my mood, and some of who I am. Beyond this I believe it best to leave “interpretation” to my viewers . . . The Carina residency was a gift of time—five weeks to explore the island and to work. With box loads of art supplies and books, I stepped off the ferry and into a lovely studio where, with no distractions and no expectations, I began a series of small paintings on paper. The “Mnemonics” broke new ground for me and I’m ever grateful for my time on Monhegan. In the past I have somewhat jokingly referred to my work as neo-luminism. Recently I have been revisting that term. I would like to make it stick. Luminism in the 19th century had at its core the idea of the landscape imbued with light; the spiritual. It often made an attempt to place man within the landscape, sometimes in a self conscious and ham-fisted way (for example, with a couple tiny figures sitting in the corner of a a spectacular scene, smoking a pipe). Much of my work eschews spectacular scenery. It doesn’t make constant reference to man and his works. 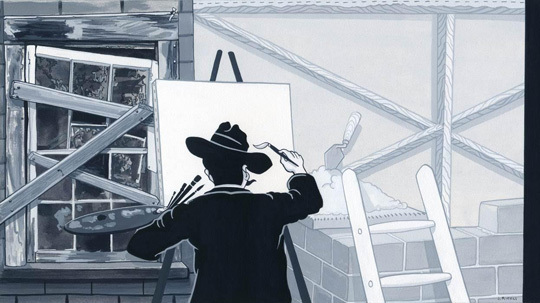 It is about finding the spiritual in the distillation of simple, unspectacular scenes. Put simply: what you see and feel here is what you get. And if what you get is a yearning for a deeper connection with nature and spirit, then you share with me the thing that keeps me painting. Joe Kievitt was born and raised on the coast of Maine where drawing from the landscape was a significant part of his life. Living in San Francisco and New York, Joe discovered his affection for abstract art. He currently lives and works in Portland, Maine. 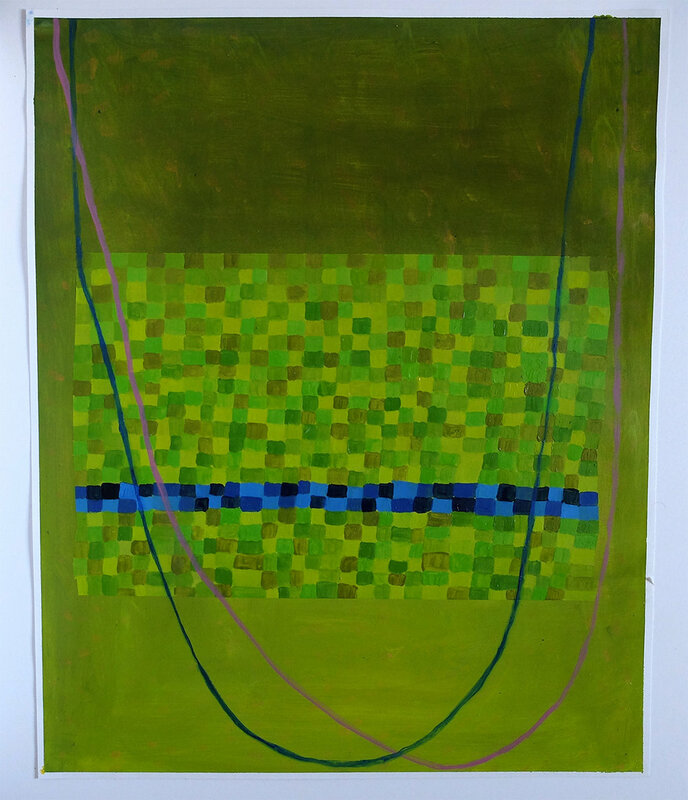 Joe is represented by Miller Block Gallery in Boston and Richard Levy Gallery in Albuquerque and has exhibited works throughout the U.S. He has also completed numerous public art projects in Maine, Massachusetts and Rhode Island. When not making art, Joe works as a wood worker and carpenter. In the fall of 2010, Joe attended the Anderson Ranch Residency Program. I am an artist who lives in Portland and Woolwich, Maine: my apartment and studio are in Portland where I work during the week, and I go home to my house in the woods of Woolwich for the weekends. It’s a great balance! In making a portrait, I attempt to reveal something of the psychological and emotional depth of the individual, but also something more archetypal — what it means to be human — to have a past, passions, and a spirit. Using bits of the surrounding room to set a stage, the resulting work is influenced by many layers of stimuli including such factors as mood, conversation, images on the studio wall and music, as well as images from memories and dreams. I use all these scattered and changing sources much like a novelist to pull together a story on the page. My self-portraits are born of this same process, and are part of an on-going spiritual and emotional diary. Nathaniel Udell began making photographs while studying Music History at the University of Vermont. Upon graduation he moved to Maine and enrolled in the Resident Program at the Maine Photographic Workshops, where he later worked as a teaching assistant and lab manager. Today, Udell lives in Seattle where he continues to pursue photography, as well as drawing and print making. He currently works for Benham Studio Gallery in Seattle and intends to begin graduate studies in the Fall of 1998. His work has been exhibited at Maine Coast Artists in Rockport, and at locations in Vermont and Seattle. His work appears in the permanent collection of the Farnsworth Museum and in several private collections throughout the East Coast. Eileen Gillespie’s work deals with structure and light found in architectural and natural surroundings. Her drawings and paintings focus on pattern, geometry, and composition nurturing a long fascination with the abstract qualities of natural and man-made forms and the material effects of light. A year studying in Rome with the European Honors Program at Rhode Island School of Design, where she earned her BFA, marked the genesis of a career-long interest in architecture and structure in nature as a subject for her work. She received her MFA in painting at the University of Pennsylvania. Gillespie’s awards include a visiting artist position at the American Academy in Rome, a residency at the Millay Colony for the Arts and a Fellowship at the Carina House on Monhegan Island, Maine. She is the recipient of a 2004 Artist Fellowship form the Massachusetts Cultural Counsel. 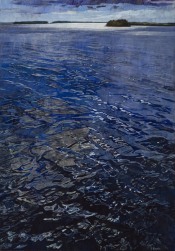 Ms. Gillespie has exhibited in numerous solo shows in Boston and Maine and many group shows throughout the northeast. Her work may be found in the collections of The Boston Athenaeum, Fidelity Investments, Wellington Management Company, Mount Sinai Hospital, and the Hertz Corporation among others. Eileen Gillespie was born in New York City and has lived and worked as a professional artist in Maine, New York, Boston and Connecticut. She currently divides her time between Maine and the Connecticut Shoreline with her husband and young son. I’ve been working from my Cushing, Maine, studio since 1991. My work is about the merger of nature and culture – an attempt to make sense of our place in the world. I look at interior spaces and our imprint on the landscape with an eye for the imperfect, quirky, and sometimes elegant adaptations we’ve made in order to live here. A resident of Maine since the mid 1970s, when he founded the fine arts curriculum at Hebron Academy, Gary Ambrose has had a long career as an educator in the arts. He is currently professor of sculpture and three-dimensional design at the Maine College of Art. Jim Dugan lives in Rockland, Maine, and works as a commercial photographer, graphic designer, teacher and Licensed Maine Guide. I am a painter. I borrow views to paint in other people’s cottages, homes and treasured places when they are away. My Borrowed Views project began in 1990. 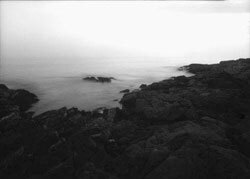 My Monhegan residency in 1991 was an extended, private time to study one location in depth. That extraordinary opportunity propelled the idea of Borrowed Views into a sustained project that continues to this day. In 2004 it generated a book on my life borrowing views and my process as an artist. I received a BFA in 1980 from the Maine College of Art and an MFA in 1982 from Tyler in Rome and Philadelphia. I attended the Skowhegan School of Painting and Sculpture in 1989 and in 2004 had a one person show at the Farnsworth Museum. An extended version of my education, exhibition history and upcoming events is listed on my web site along with many images of my paintings. As urban sprawl and commercial and industrial development claim more and more of our land, it is important for me to record and celebrate the beauty and dignity of our natural world. I live on the edge of wilderness, travel to remote destinations and seek out unspoiled places. These landscapes figure prominently in my work because they figure prominently in my life. I am drawn to the order and geometry of fields and pastures, the noble sweep of farmlands, the grandeur of mountain peaks and rugged coastline, the serenity of still water, and the power of rushing rivers and waterfalls. I am passionate about conveying a sense of awe and respect for our disappearing wilderness. Living in a state with a long and venerable tradition of landscape painting, I have had to find my own voice. To go beyond the picturesque and purely representational and to paint without sentimentality, I have had to trust my visual intuition and create a language of my own. The dripping paint and unconcealed edges – a staple of nonrepresentational painting – are true to the integrity of the medium. Thin, transparent paint loosely brushed, wiped away and smeared, and remnants of original graphite drawings suggest that these images are artifice. I make paintings, not landscapes. I paint to bear witness to the importance of preserving our natural environment. I create to leave a visual legacy. I believe my paintings make a difference. "When I headed for Monhegan Island, I imagined a wonderful block of time to work on my art with reckless abandon, without concern or thought for those pesky duties of life. It was that, but it was also so much more. I welcomed the solitude and Monhegan’s vast beauty. Hiking the island every day, watching the ducks and gulls grow up, seeing how close I could wander to the deer, snorkeling in the great tide pool on the other side, sitting staring at the ocean and allowing dreams to surface. The islanders were so friendly and supportive, yet so respectful of my time. Living in the unchanged home of one very creative soul was truly inspiring. It all gave me internal room and enabled the passions of my heart to bubble up. It shifted the direction of my life, and I thank the Carina residency for its part in my creative development." Sarah Knock is represented by Greenhut Galleries in Portland where she has had numerous solo exhibits. Her work has also been exhibited at Colby College , the Portland Museum of Art, the Farnsworth Museum , the Penobscot Marine Museum , and the Center for Maine Contemporary Art. She is the recipient of an individual fellowship from the Maine Arts Commission and a Carina House Residency on Monhegan Island . Her work is in the collections of MBNA, L.L. Bean, TD Banknorth and others. Her work is also represented in the following books: Paintings of Maine , The Art of Monhegan Island , and The Art of Maine in Winter. Her work was featured in July 2004 in Down East magazine in an article entitled The Beguiling Waterscapes of Freeport ‘s Sarah Knock. She shows her work frequently at Greenhut Galleries in Portland.